No, not really. I have nothing but excitement at the news that Phoenix Wright: Ace Attorney-Dual Destinies will be appearing on the Nintendo eShop on October 24th for $29.99 / €24.99. 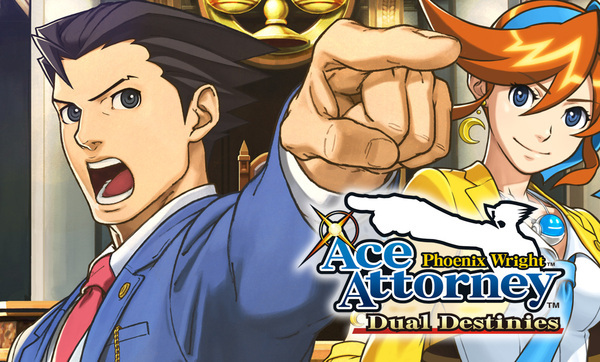 For the first time in the series, you’ll be able to join Phoenix and his young protégé Apollo Justice as they investigate crime scenes in stunning, glorious 3D! Also joining the duo will be Associate Attorney Athena Cykes, who has the uncanny ability to psychoanalyze witnesses emotions. There’s some additional evidence I’d also like to disclose. The Western release will also feature the costume pack and the Turnabout Return episode, which links the game with Apollo Justice: Ace Attorney.